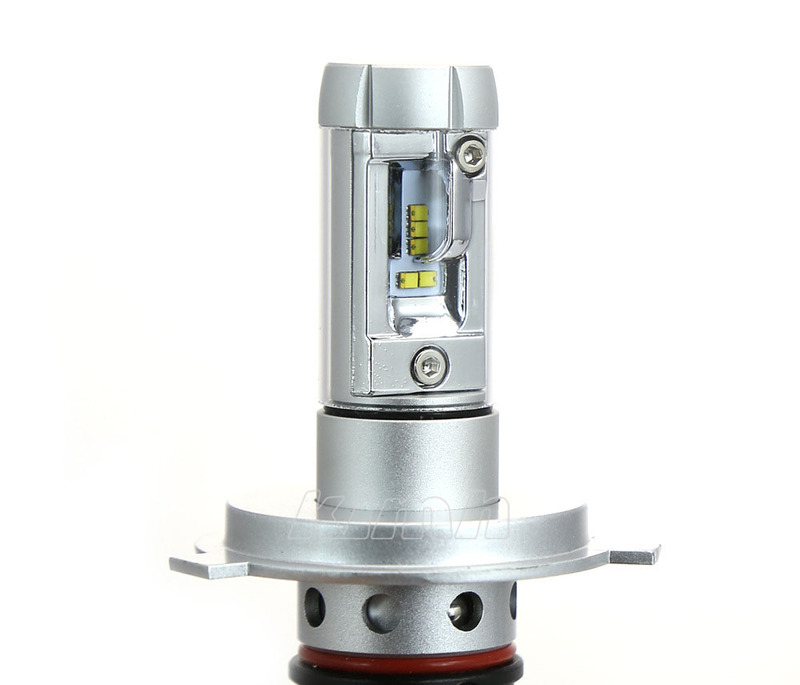 X3 Car LED headlight with Wide voltage and constant current design, working voltage range 9-32v, smart constant current IC protect the chip always safety working. 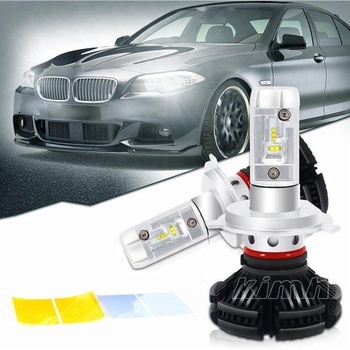 Applications Car headlight, Fog Light, Headlam. Payment terms : T/T, Western Union, PayPal, Alipay, Escrow, MoneyGram. Delivery Time : Within 2-5 business days. Shipping : By Sea, By Air and By Express Delivery. 1. How about your Service? 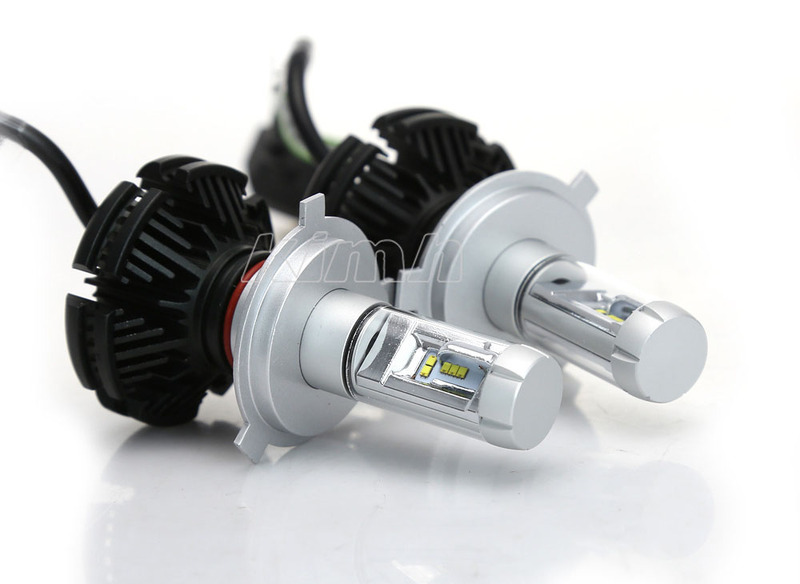 OEM packaging and ODM service on request, Any question or inquiry will be replied in time. 2. 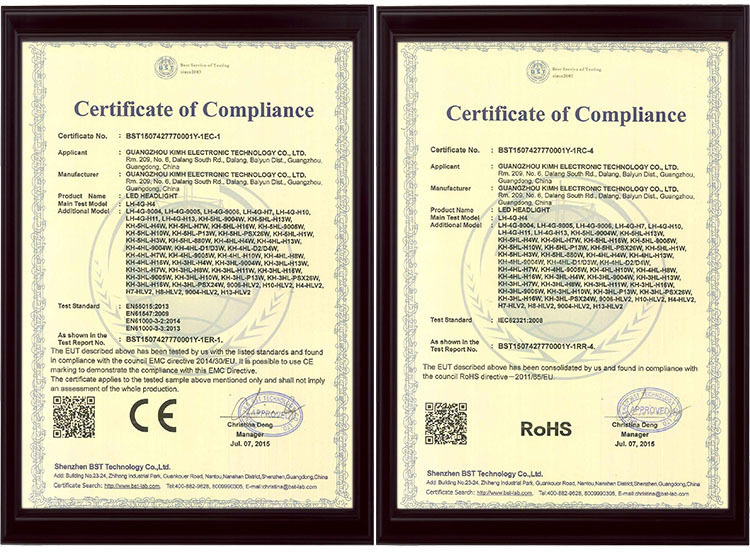 How to process your Quality Control? All products must go through five checks before manufacturcing process. Revelant material check before production. Customer’s interestes can be full guaranteed. 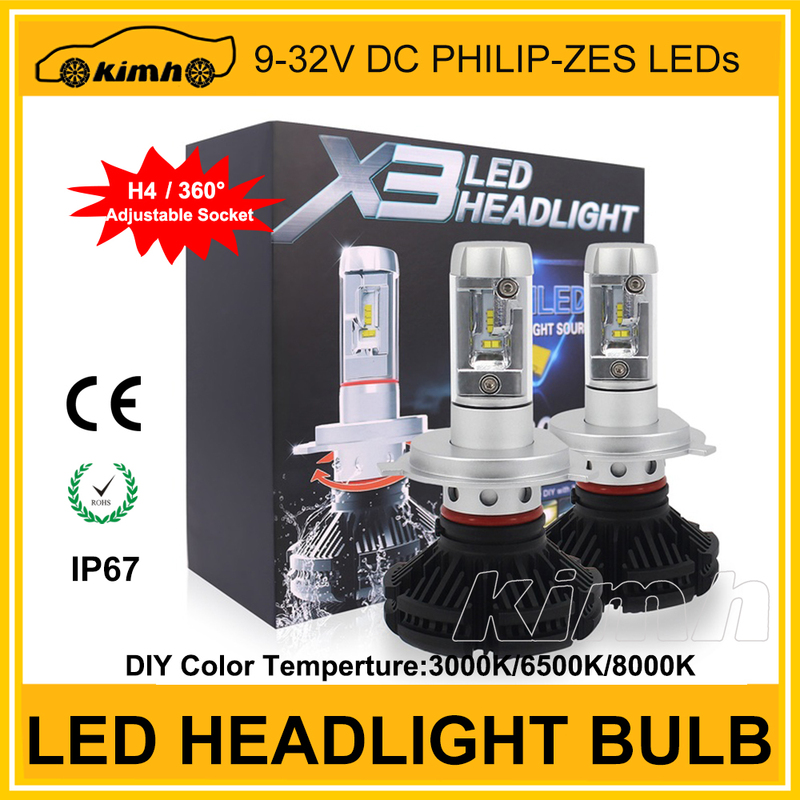 Q1: Why do we produce X3 h4 bulbs? 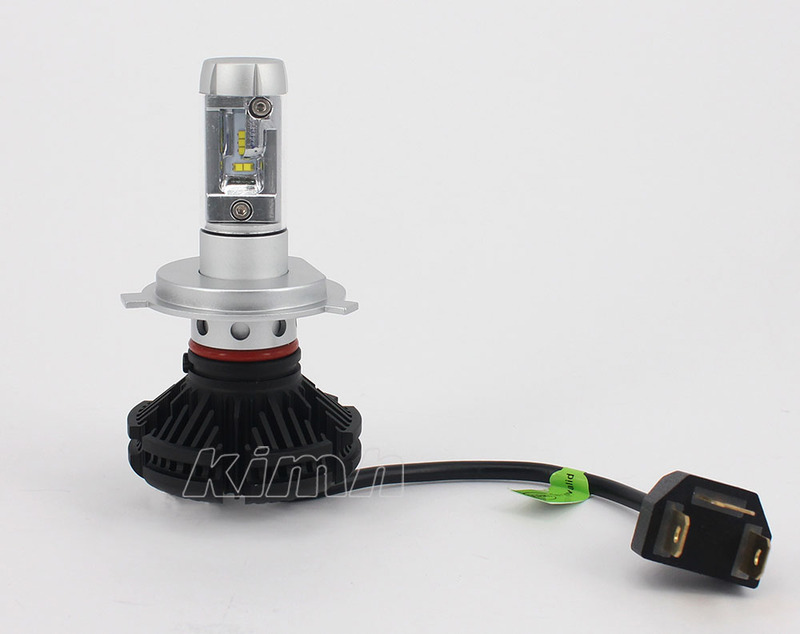 A: In order to satisfy our some customers' requirements, we produce X3 LED car headlight with mini size and special base for adjusting light beam pattern. Q2: What color do you have for new h4 light bulbs? 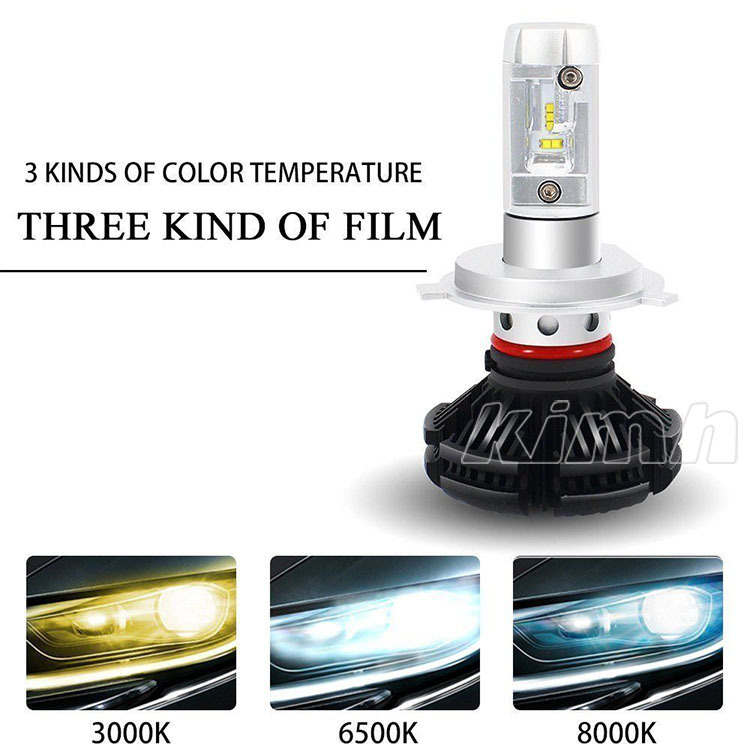 A: There are 3 colors including 4300k, 6500k and 8000k in one set. You can use sticker to change color. Q3: How does X3 h4 light bulbs to dissipate heat without fan? A: 1. 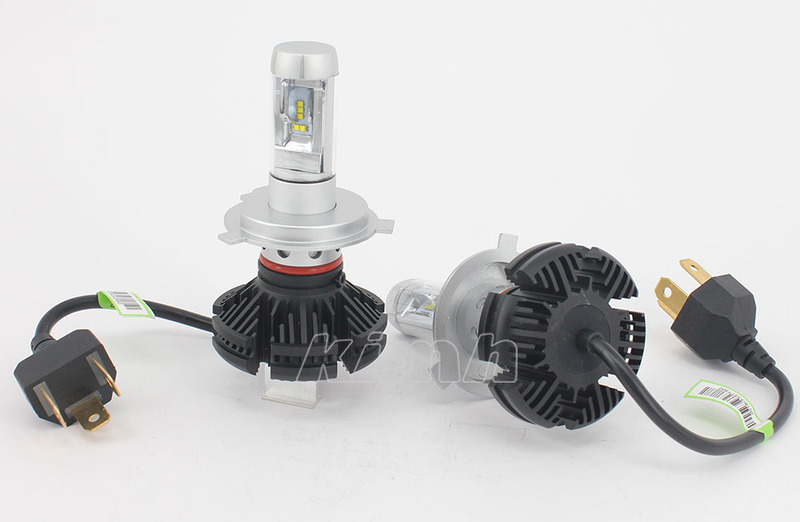 X3 car h4 light bulbs adopted aviation seven grade aluminum alloy for high thermal conductivity. 2. Streamlined structure was designed to maximize cooling surface. Q4: Compare with 7G led headlight, what are the advantages of New X3 led kit? A: 1. 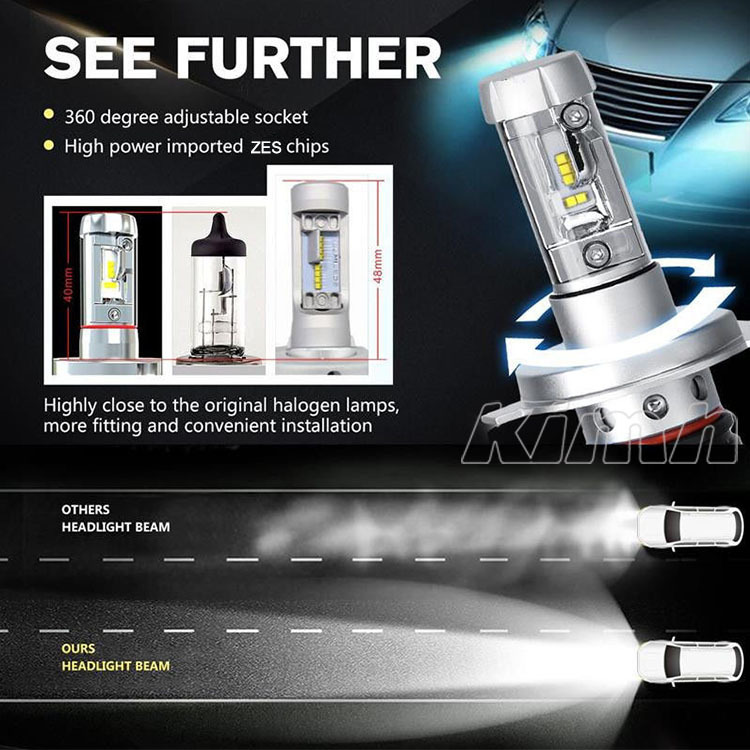 The light beam pattern of X3 h4 and h7 can be changed by rotating special base. 2. Redesigned aluminum, ultra-thin radiator for maximum cooling. 3. 3000k ,6500k and 8000k is optional. Q5: How long will it take to deal with my order? A: If the bulb in stock, they will be sent after aging 72 hours. For sample order with small quantities, it takes 3-5 working days. 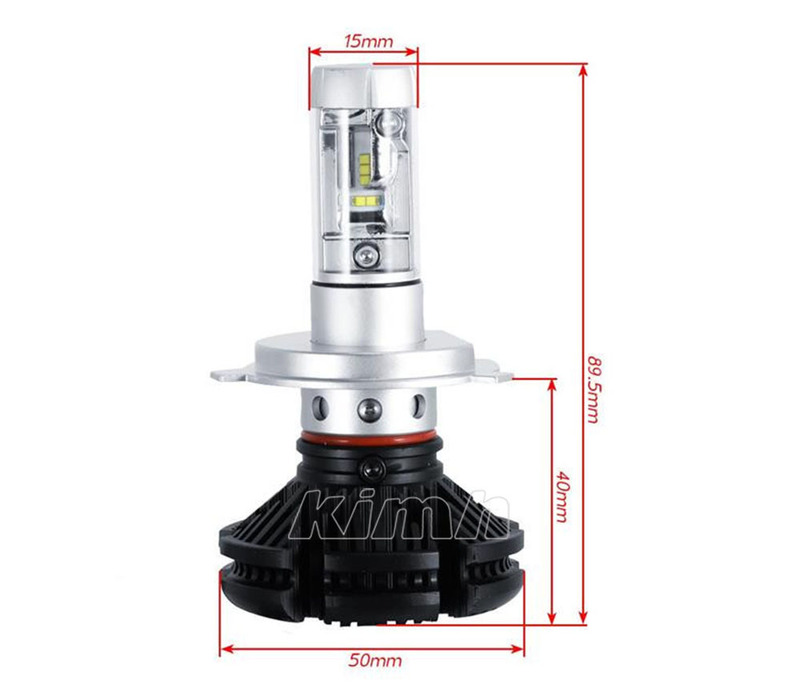 For normal large order, our normal lead time is 7-15 working days. Q6: Is there any testing before shipment? 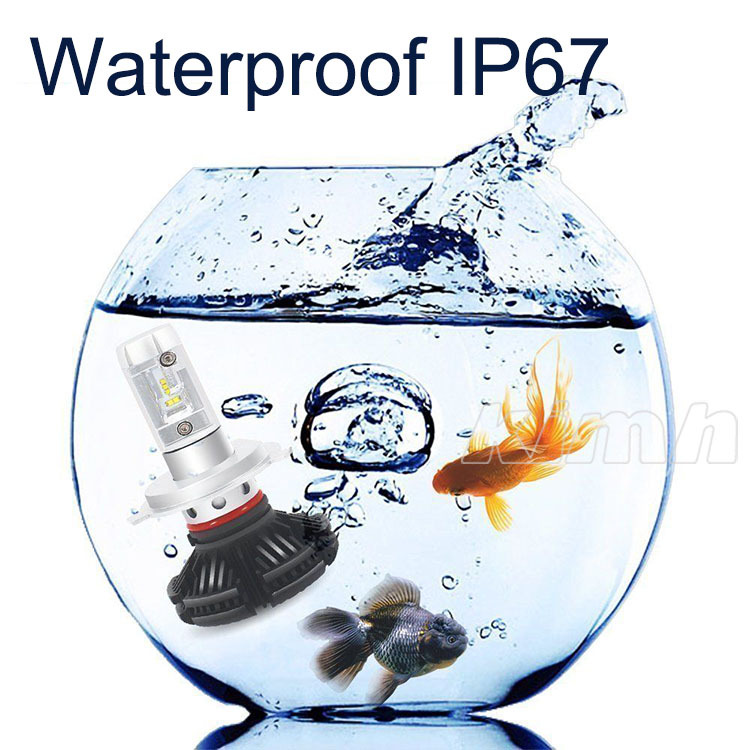 A: All goods will be aging for 72 hours before shipment for sure their quality and reduce defective rate. This is the core principle of delivery process. Q7: What is your MOQ? A: We don't request MOQ for trial order. 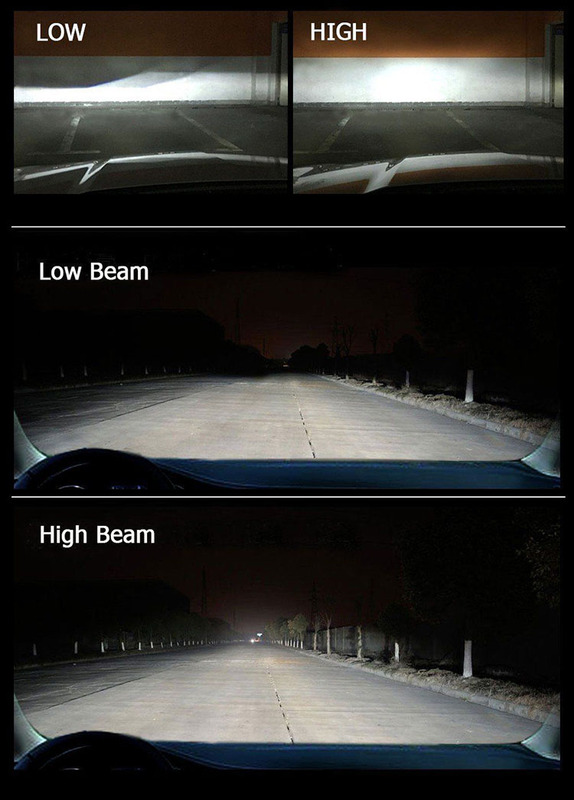 Q8: What’s the failure rate of the lights? 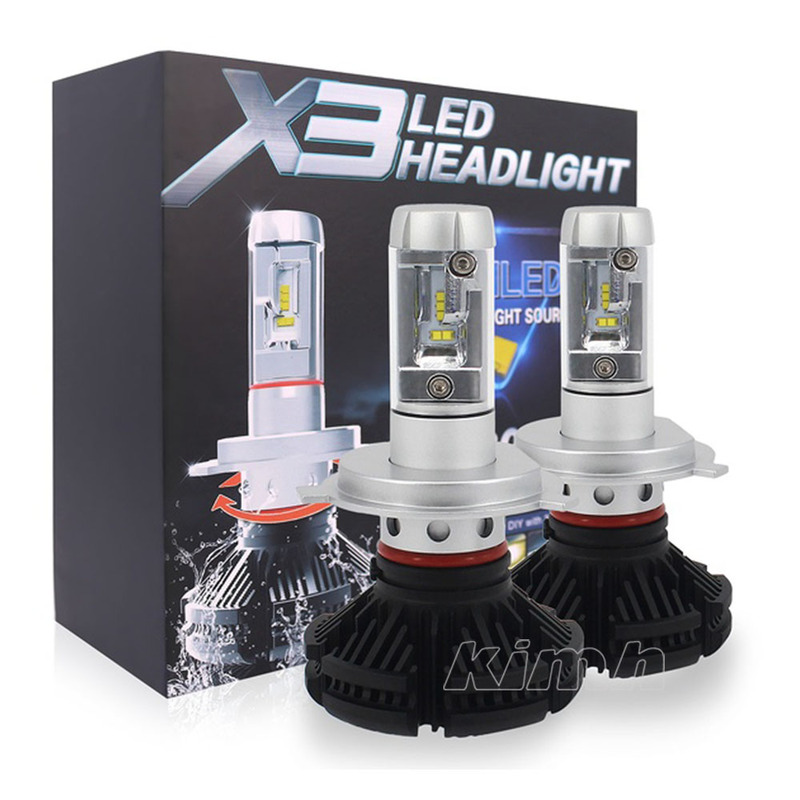 A: According to our sales record, X3 led bulbs failure rate is less than 0.08%. Your questions will be very welcome, please feel free to contact us.